The Throwin' Samoan graduated from WSU as the NCAA's all-time leading passer. But if the Husky coach had not stood his family up, he would have gone to UW. 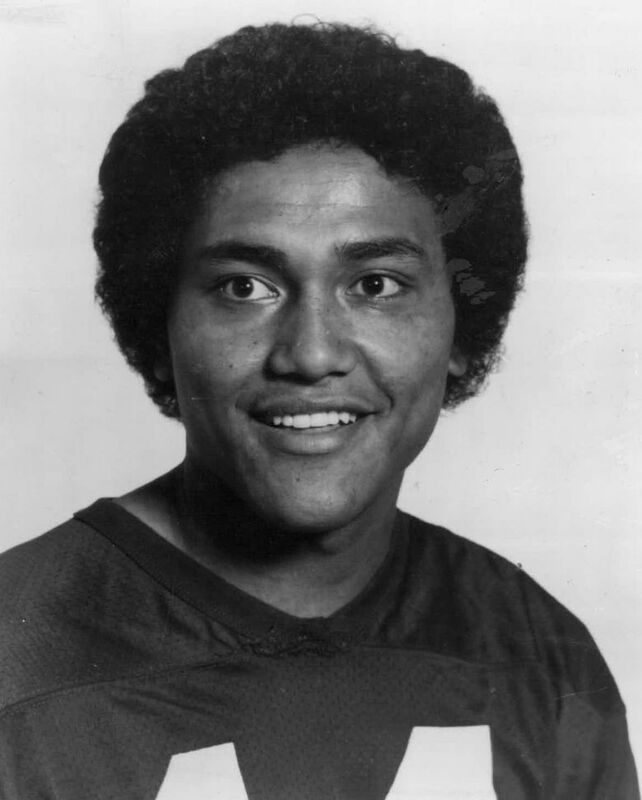 Jack Thompson, the Throwin’ Samoan and Washington State University icon, almost became a Husky. In fact, he would have had Husky coach Jim Owens not stood his family up. Of course, it all worked out in the end. But it certainly wasn’t how Thompson envisioned things while growing up just south of Seattle city limits and starring as a quarterback at Evergreen High School in White Center. His father loved the Huskies, and so did he, proudly wearing a Sonny Sixkiller UW No. 6 jersey. “I wanted to be a Husky,” said Thompson, 62, who moved from American Samoa to the U.S. when he was 1 and now lives in Magnolia. “I used to watch the ‘Husky highlights’ on Sunday, and so I was a big Husky fan and a big Sonny Sixkiller fan. But when I was being recruited, they knew they had me in the bag. But when it came to a visit in my home, twice they said they were coming, and Coach Jim Owens said he was coming, and he never showed. Washington’s loss was the Cougars’ gain. When Thompson took his official visit to Pullman, his host – one of the freshman quarterbacks — did not show up to take him around campus. Thompson was sold, but after playing just sparingly as a freshman in 1975, he was thinking about leaving WSU. And he most certainly would have, had Washington not won the Apple Cup that year with a 93-yard interception return and a 78-yard touchdown pass in the final three minutes to win 28-27. After the game, WSU coach Jim Sweeney resigned. Thompson and Levenseller stayed, forming a great duo before their NFL careers. Thompson, despite playing for three head coaches the next three seasons (Jackie Sherrill, Warren Powers and Jim Walden), became a national star. 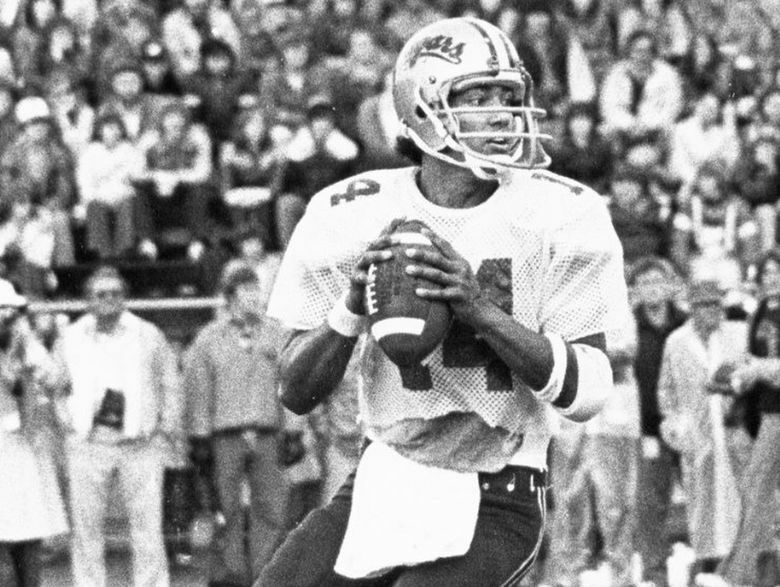 He threw for 7,818 career yards, becoming the most prolific passer in NCAA history at the time and setting nearly every Pac-8 conference passing record. He was ninth in the Heisman Trophy voting and was the No. 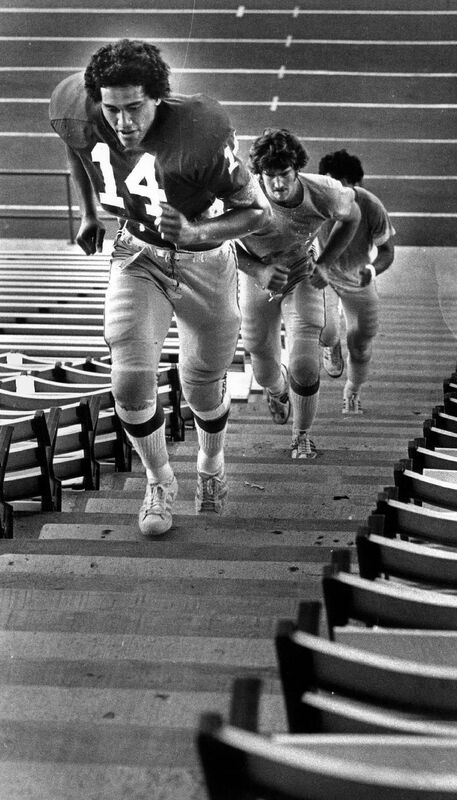 3 overall choice in the 1979 draft by the Cincinnati Bengals. 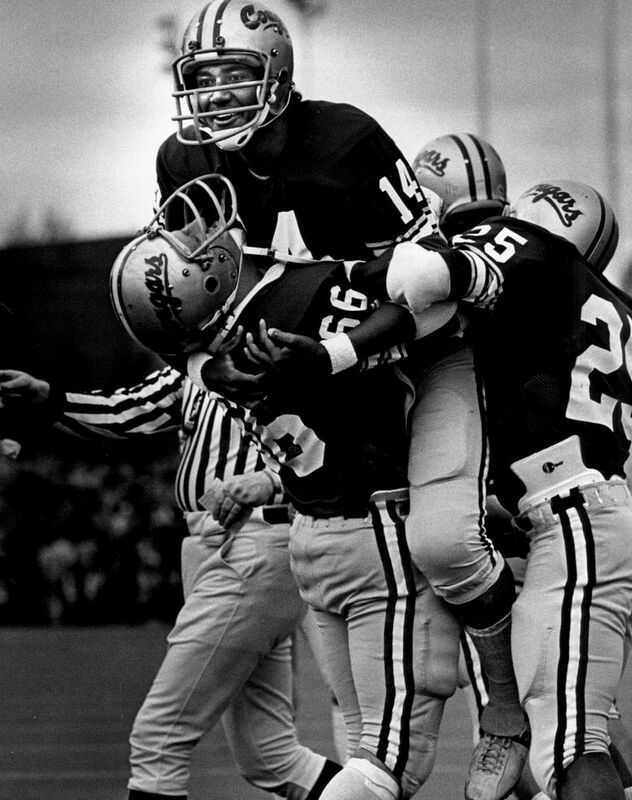 He certainly has no regrets about picking WSU, even though he regrets never winning an Apple Cup and wishes he hadn’t had to play for four coaches in four seasons. Thompson played six seasons in the NFL. He spent the first four seasons mostly as a backup to Ken Anderson in Cincinnati. In Thompson’s third season in 1981, the two battled for the starting job in the preseason, and Thompson looked like he might win the job before suffering a high ankle sprain in the final exhibition game that sidelined him several weeks. Anderson went on to be an All-Pro that season, leading the Bengals to the Super Bowl, which they lost to San Francisco. After the 1982 season, Thompson was traded to the woeful Tampa Bay Buccaneers for a first-round choice, starting 19 games before he was released following the 1984 season. Thompson helped create the Quarterback Challenge (a skills event for NFL quarterbacks) after his playing days, calling it his “first foray into marketing” and he said he returned to Washington around 1988. “I am glad I did, and I got back with the Cougar family,” he said. Thompson became a partner and a board member of the Java Trading Company before the coffee company was sold in 2006. Then he got into the mortgage banking business and is a partner in CrossCountry Mortgage. Stone | UW has outclassed WSU in recent Apple Cups. Will that change? Calkins | These Cougs feel different. Husky fans should feel nervous. Analysis | Why have the Huskies been so dominant in the Apple Cup? What's at stake in this year's Apple Cup? Thompson and wife Molly have been married for 38 years, and have two adult children, Jack and Tony. Tony walked on at WSU and earned a scholarship as a long snapper and tight end, earning three letters before graduating in 2009. Son Jack has two boys, 1 and 3, and lives in Spokane. “With the two boys on the east side (of the state), it’s not a matter of if, but when we are going to move to the WSU side of the state,” the elder Thompson said. 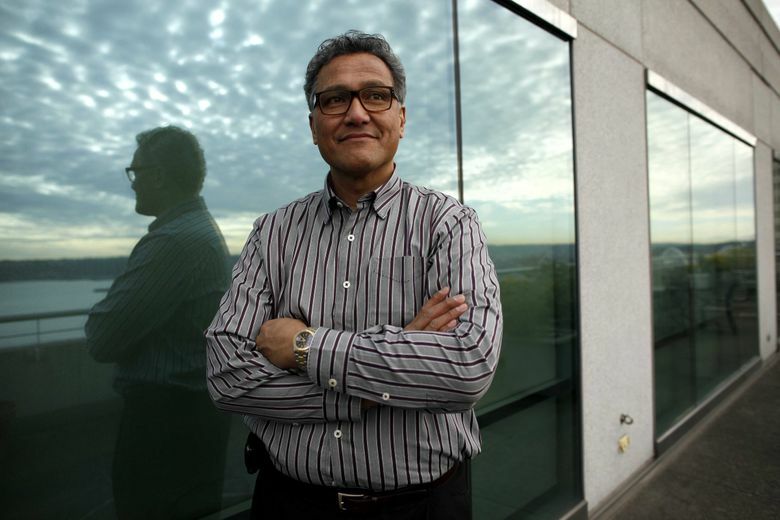 Thompson is on the board of directors of the Washington State University Foundation and he takes his role as a representative of the school seriously. The way Thompson does that has caught the attention of the player he grew up admiring. Of course, to many, Thompson always will be the Throwin’ Samoan, and he is just fine with that.